College Choice-Great resource for school counselors that includes college rankings, paying for college, college scholarships, becoming a successful applicant, and lots more. Check out this link on creating a great college application, Anatomy of a College Application. Confident Counselor’s Connection– Check out this monthly roundup of resources, products, best practices, articles, comic relief, blog posts, giveaways, and ideas in action . 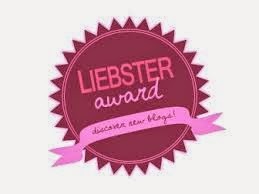 This blog is a labor of love by 20 counselor bloggers!! Counselor’s Corner-High School counselor Patrick O’Connor’s blog contains great information for high school counselors and high school students. Counselor’s Room-Founded in 2009, the Counselor’s Room provides free lesson plans, activities, and worksheets for school counselors from elementary to high school. Counselor Up-Blog written by Rebecca Atkins who encourages and inspires other school counselors. Darrell Sampson-The Counselor’s Office-Northern Virginia school counselor with lots of links and even a crisis resource page. Elevating Oklahoma Guidance and Counseling -Great website with assessment information, career planning, counseling resources, videos, and teachers as advisers guidance. Erin Luong’s Reflection on Counselling, Education, Leadership, and Technology-Blog written by Alberta, Canadian school counsellor, Erin Luong. Francine Sabens-School Counselor Space-Illinois High School Counselor of the Year who has a lot of great resources for professional school counselors! High School Counselors’ Network-Face Book page created and managed by middle school counselor, Carol Miller of New York. A great place for high school counselors to network, share ideas, and ask questions. High School Counselor Week-High school blog featuring weekly stories, facts, trends and other information for school counselors in each region of the US. School counselors are able to sign up for a weekly newsletter from his or her region of the US. I’ll Go to College -Written by a former non profit co-director who assisted first gen students with college guidance, this blog has a lot of useful links and information that can be used by school counselors. In Between Years – Website authored by Sharon Powers giving insights on the modern day teenager. Jeremy Goldman-Pikesville High School Counseling Blog-High school blog with great resources for professional development in the areas of advisement, personal-social, academics, careers, and paying for college. Magoosh-High School blog written by a bunch of self proclaimed nerds whose goal is to help students reach their post secondary dreams. This blog includes lots of information regarding standardized testing, study habits, how to write a personal statement, applying to college, early admission, class advice, and much more!! One School Counselor -High School website from Orange County, California with great information for school counselors, students, and parents. Check out the school counselor information page! Ross Wolfson School Counselor Crowd Blog-High school counselor from Boston who hosts a website that has turned into a world wide community of school counseling professionals who share ideas, questions, and concerns. 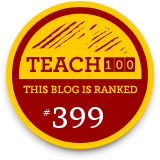 School Counselor Blog-The original school counselor blog created by middle school counselor and doctoral student, Danielle Schultz. Danielle features a page called “School Counselor Spotlight” which has great ideas, resources, stories, and information for school counselors at all levels! 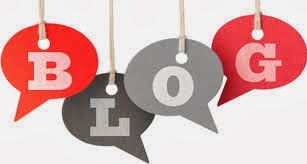 School Counselor Crowd Blog -Blog created by Canadian School Counselor Susan Spellman Cann with lots of great resources. Susan loves to share with all school counselors!! School Counselors with a Twist Network-Face Book page created and managed by high school counselor, Amanda Foege. The network is for high school counselors who work in non-traditional settings to share ideas, resources, and network with other counselors. SCOPE Blogroll-The mother of all school counselor blog lists created by school counseling educator Erin Mason. Oh, make sure you check out Dr. Mason’s site for technology tools! Susan Spellman Cann-School Counsellor Talk-Canadian school counselor and psychologist who hosts a variety of chats (#ETMOOC & #SCCrowd) and provides a lot of digital resources for professional school counselors. The College Solution -Although this blog is not written by a high school counselor or educator, it is definitely worth your time to look at this site by Lynn O’Shaughnessy. She is a former news reporter who writes about “all things college” from financial aid, party schools, standardized testing, and much more! The Counseling Geek-Outstanding website created by California high school counselor and technology guru, Jeff Ream. The goal of the website is to help school counselors with their technology needs. In addition to helping counselors with their technology needs, Jeff has set up the ASCA Scholarship fund. The Extraordinary School Counselor-Blog written by the former 2012 Virginia School Counselor Educator of the Year and school counselor educator. The blog features college and career readiness resources, bullying prevention resources, STEM resources, and many more great ideas! The Freshmen Network – Join this group of educators looking to help transition into the 9th grade. Huntsville City Schools Counselor Connection -Facebook page that supports the growth and development of Huntsville City Schools counselors, but an excellent resource for all school counselors! The Middle School Counselor-Inspiring blog written by the New York School Counselor of the Year and former high school counselor, Carol Miller. Although not a high school blog, Carol has a great blog with ideas that can be used with high school students. In addition to her blog, Carol creates and sells school counseling t-shirts on her site (check them out!). School Counselor Central – Blog managed by Dean Pacchiana and Dr. Deborah Hardy which posts weekly ideas as lessons and activities. In addition to the blog, SCC has a Facebook and Pinterest page!! The Spirited School Counselor-First year middle school counselor, Elizabeth Cranford, has created an informative blog for school counselors at all levels. You should definitely check out her ASCA14 tweet posts!